Lashbrook bands are a true piece of art with no two bands alike, making them perfect for the unique groom. 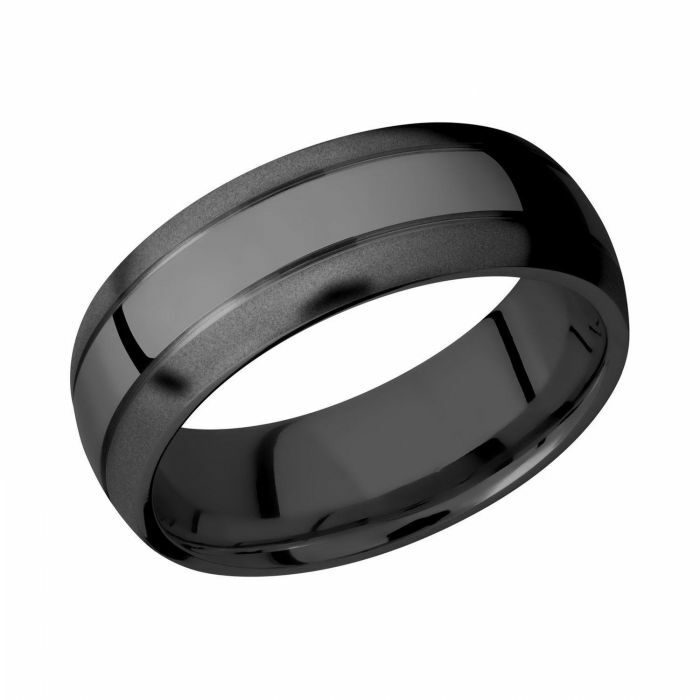 This 8mm domed band is crafted in black zirconium and features two 0.5mm grooves. The domed interior in this band provides a more comfortable fit due to the extra material and curved structure. Zirconium is a durable and hypoallergenic grey metal that turns black once oxidized, giving the metal a bolder look. This masculine band is subtle but fresh in its design.